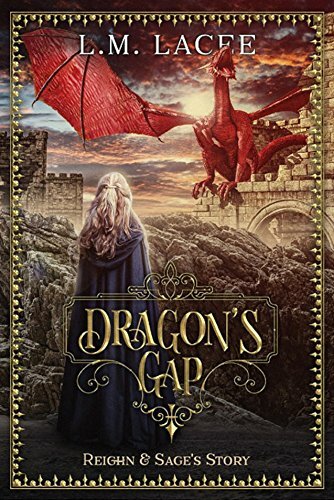 The Lord of all dragons finds a mate who is half witch, half wolf an improbability in a world of impossibilities at Dragon's Gap and finally finds love. Not so easy with for Reighn having to overcome the prejudices of the nobility and he will need to summon his military might. Excerpt from Dragon's Gap Book 1 The Dragon Lord watched as the little one went from cat to human to cat. "Come kitten, come to Reighn." She shifted back to human and stuck her fist into her mouth, tears ran down her reddened cheeks, his deep soft voice stilled her movements. "Come here little hatchling, I won't hurt you, all will be well, come on kitten, come to Reighn." "WHERE... IS... MY... DAUGHTER?" Sage demanded before the great doors made from the hardest iron wood that had withheld marauding armies with battering rams, blew apart like kindling. Reighn, the Dragon Lord has at last found his soul shadow, an improbability a half witch half wolf." Sage, saw the hole, saw the never ending abyss and still she jumped feet first into love as a shifter, instinct drove her mating or at least the willingness to chance a mating, her witch side recognized power and felt the draw of spirits as they met, melded and entwined forever to be bonded together throughout eternity.